+Author Interview+ Peter Danish [author of] The Tenor! A historical biographical fiction surrounding Maria Callas, the opera singer! Peter Danish is the Classical Music Editor in Chief for BWWClassical.com, the classic music site for BroadwayWorld.com, covering and reviewing the classical music performance in and around New York City and the greater New York Area. A proud member of the Dramatists Guild of America, he is the playwright of the play: “Gods, Guns and Greed,” as well as the new musical: “The Flying Dutchman.” His writing has appeared in The New York Times Magazine, Ad Age, Ad Week and Media Week Magazines. I am honoured to welcome Mr. Danish to Jorie Loves A Story on my very *first! * blogoversary! Today marks the day I created a WordPress account & started the foundation of what you see now. What better way to celebrate the joy of being a book blogger for twelve-months than to showcase a début novelist who dug out of the recesses of history a story which etches out a courageous act of selflessness to inspire a story with such depth. An author I might add who shares my passion for ‘Magical Realism’ which is quite possibly the largest groupings of books I aspire to read for “The Classics Club”. I even have “Winter’s Tale” sitting on my shelf and I fear I might run out of the hours to consume its loveliness before it needs to return to my local library! As I asked the questions on behalf of “The Tenor”, I was most impressed by the responses Mr. Danish supplied, as he gave us a breadth of knowledge for his writing style as much as how research can lend itself its own education for a writer. The historical significance of how one opera singer’s life intersected with a soldier and how the legacy of their actual lives and bond inspired the woman behind the Huffington Post is beyond remarkable! Let us pause from my celebratory mood and listen to his remarkable story of how “The Tenor” was created and given back to the world. Pino Vaggi is not like the other children in Italy in 1930. While they play soccer, he listens to opera. By age ten, he is already a child prodigy, an opera singing sensation on the fast track to a major international career. On the eve of his début, WWII breaks out. The theater is closed. The season is cancelled. Pino is drafted. He is stationed in war-torn Athens, where he hears and ultimately falls in love with another child prodigy, the young Maria Callas. There is one major problem: she is the enemy. However, as famine devastates Athens, (a famine created by the diversion of humanitarian aid meant for the Greeks to the Russian front to feed the German Army) the artist in Pino can’t fathom the thought of the greatest singer the world will ever know perishing, especially if he is in a position to prevent it. With a firing squad in the balance, he repeatedly risks his own life to protect and feed the young girl and her family. In the process, his love for her deepens, until something tragic happens – something with devastating consequences that blows the young lovers apart. When you first learnt of the soldier’s story, to where his survival was not evidenced, did you in turn try to dig through the archives to see if he had lived? Finding the soldier himself after the war would have been an impossible task. According to the folks I spoke to in Athens, when the Russians ‘liberated’ the city, they were every bit as brutal and ruthless as the Nazis had been. They took no prisoners. So, in all likelihood, the soldier perished there. Even if he had not, immediately following the end of WWII, both Greece and Italy were plunged into civil wars. In the chaos that followed record keeping was not the first thing on peoples’ minds. And of course, there was no internet back then to do the research! What touched you most about the story whilst giving you the breadth of creating “The Tenor”? I originally learned the story of the soldier from Arianna Stassinopoulos (now more famously known as Arianna Huffington, of Huffington Post fame) and her biography of Maria Callas. But when I read a half dozen other accounts of her life, none of them mentioned him! So I sought out an old family friend who was a personal friend of Callas (actually a friend of my ex-in-laws – yes, I cared enough to reach out to my ex-in-laws!) He informed me that the story was indeed true, and not only had the soldier existed, but Maria had a school-girl crush on him! And that the two of them often sang together! The fact that they sang together struck me deeply. I just knew he had to be a fellow opera singer, because only another opera singer would have recognized the subtleties, the nuances that separate the good from the great and the great from the once-in-a-lifetime voices. What was it like to interview friends who knew Maria Callas personally? It was total joy. We sometimes forget that even the greats, the legends, were also just ordinary people. One acquaintance of hers said that she was actually brilliantly witty with a sardonic sense of humor, even quite ribald at times. Yet, watch all the video of her interviews and performances and you will never find any record, video or otherwise in which she is ever anything short of pure elegance. So, it was delightfully endearing to hear and learn about the person behind the diva. Did anything stand out to you in those enquiries you had not yet stumbled across!? Several things! But one thing that particularly struck me was how she hated wasting food. And allegedly would admonish dinner guests about “cleaning their plates”. In some sense, I suppose the lessons and the scars of the war and poverty were ingrained so deeply that they remained a permanent part of her. On the other hand it speaks of a person who in spite of all the diva antics, had a firm grip on what was truly important. What captured your attention the most about the plausibility of Maria Callas being rescued by an unknown soldier? That is a very good question! Callas mother became very friendly with several Italian soldiers and encouraged her daughters to be nice and cordially with them. Maria and Jackie would often serenade the soldiers in little impromptu concerts and the soldiers would respond with flour, rice, even the occasional bottle of wine – all in short supply to the Athenians. But the unknown soldier who sat beneath her window and listened to her night after night was especially interesting to me. He cared enough to risk his own life just to hear her sing, but he remained anonymous probably to protect himself from any consequences. Yet, Maria’s audacious disregard for the curfew was really reckless and possibly even suicidal. And in that regard, the young 17 year old girl showed infinitely more courage and moral fortitude than the soldier. What draws your heart into stories set around the genre Magical Realism? Magical Realism is possibly my favorite genre of fiction. Partly because it is so infrequently successful. In fact, I think you can probably name on one hand – maybe two hands – all the masterpieces of the genre – but those few, those happy few! Magical Realism is a style that is almost exclusively unique to the printed page and by extension to the mind’s eye of the reader. That makes it very special. The images that the mind conjures up while reading Mark Helprin’s “Winter’s Tale” or Gabriel Garcia Marques “100 Years of Solitude” still give me goosebumps just thinking of them years and years later. The first time that Athansor (Peter Lake’s horse) flies, I held my breath and almost forgot to start breathing again. The swarm of yellow butterflies from 100 Years of Solitude still brings a smile to my lips and tears to the eyes. The impossible and the implausible, the very laws of physics fall before the imagination and the craft of the author. That is what make Magical Realism so wonderful. When you were a young boy what books drew your eye? And, what were your favourites? I started reading very young and by the 3rd grade I had consumed most of Agatha Christie’s mysteries and all of Conan Doyle’s Sherlock Holmes stories. Shortly after, Ian Fleming’s James Bond novels became an obsession. I still love a good detective story a good mystery, but in truth, even though there are now literally thousands of titles in that genre – and I’ve probably read several hundred of them – very very few stick with you. I was talking to a group of writers at a conference a while back and Dean Koontz name came up. He’s sold a gazillion books and made more money than God or the Rolling Stones, and I’ve probably read over a dozen of them. But as we speak, I could not tell you what even one of them was about. While I could tell you the plots of virtually every single Sherlock Holmes story ever written. For me, discovering Russian literature was the turning point. It happened in High School and the first novel was Anna Karennina. After that, it was Brothers Karamazov and Crime and Punishment. Then I discovered Puskin and his verse novels. Finally came War and Peace – easily my favorite book of all time. I find myself quoting from it constantly, over thirty years after I first read it! In grammar school I wrote detective stories – and they were awful! I kept at it though and after a few years – they were still awful. They were sooooooo much harder to write than I imagined! 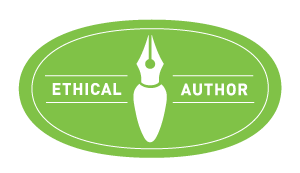 My narrative style of writing didn’t lend itself at all to that style – still doesn’t. But that won’t stop me. I’m nearly done with my first mystery suspense novel as we speak. I’ll keep you posted on it! As far as cheerleaders, I never had any. I come from a family of accountants and they are all totally left-brained. It wasn’t until I met my wife, who is a voracious reader, that I had any encouragement at all. She is and has been my inspiration and my muse. Opera evokes a lot of passion through vocal story-telling, did you find it difficult to translate this to the page? Opera is a completely unique art form. It is largely people screaming at each other for hours – those are Luciano Pavarotti’s words not mine! But he’s right, it is almost completely unnatural yet there is something almost otherworldly in its beauty when its done well – a lot like Magical Realism! It’s really impossible to convey the emotion of an aria into mere prose. You try to augment with imagery and metaphors but it’s up to the reader to fully ingest and project their imagination. It was by far the hardest part in the writing of the book. How do you accurately and vividly describe someone singing? I hope I convey at least a small portion of the power and the passion of the music through my prose. What was your favourite part of your research for “The Tenor”? Did one locality of travel stand out over the other? The research for The Tenor was done largely in Italy and Greece. The book has three parts: part one takes place in Italy in the 1930s, in the breath-taking Appennine Mountains in the north. The second part takes place in Athens in 1941, when the Italian Army was the occupational force left behind by the Germans after the Nazis had overrun Greece. Part three takes place in New York City in 1965, amid Beatlemania, The World’s Fair, the Civil Rights Movement and most importantly to our story, the return of Maria Callas to the Metropolitan Opera after being banned for nearly a decade. Italy and Greece are almost indescribably beautiful and the research was pure joy. Italy of the 30s, where our protagonist grew up, is idyllic and the village where he was raised could be straight out of “The Sound of Music”. Athens, 1941, is the diametric opposite. There is rampant starvation, people begging in the streets, dead bodies piling up on the curb. The juxtaposition of the stunningly beautiful Italian mountain village against the horror of WWII Athens is critical to the story. Our protagonist, Pino, has led a charmed life in a magical place and suddenly finds his world turned upside down. He’s no longer an artist, he’s a soldier. The beautiful vistas have been replaced by starving children begging in the streets and the bodies of those who have starved to death littering the sidewalks. Pino is completely ill-equipped for this new world, this new reality. Meeting dozens of old folks who were there at the time, who had lived through the occupation was by far the most rewarding part of the research. I often played dominoes and backgammon in the parks with them for hours on end, and listened to their stories. They were priceless. In fact they were so special that I have incorporated many of the stories and even the people into THE TENOR. I have compressed several people into characters in the book. I think you will be able to figure out who are the real characters without too much difficulty! What did you learn personally by writing this story? The one thing that immediately stuck out in my mind was just how incomplete my education was. I think of myself as a student of history and I am a voracious reader of historical tomes, yet I had no idea whatsoever about half the things I learned during my research. Just to name a few, I did not know that the Russian’s had concentration camps. I thought that the Nazis were the only ones, but that was not the case. I met several old Italian men who were soldiers in the Italian Army that were captured and interred in camps. In addition, and most sadly, I never even heard of the “Great Famine of 1941” that took the lives of nearly a half million Greeks. Far more Greeks died of starvation during WWII than in battle. I never read anything about that in any of my history books. Did the Callas family read the final draft? What were their impressions? I didn’t send the manuscript to any of Callas’ relative because the book is first and last a work of fiction. And when people read historical fiction, the tendency is to examine historical accuracy down to the minutest detail. All of the characters in the book are fictional – although some are composites of several people and others are loosely based on real people. Just showing the manuscript to people who knew her was tough enough! Some said: “that’s EXACTLY what she would have said!” Others said: “she would NEVER say that!” So in the end, I had to allow my own imagination and intuition guide me. Did writing “The Tenor” inspire you to seek out other unknown historical stories? Writing THE TENOR did inspire me to research several peripheral historical stories. I am actually putting the finishing touches on my next novel – which takes place in Bosnia in the former Yugoslavia and it deals with the children who were seeing visions of the Virgin Mary during the war there. THAT was quite a research job! But that’s a story for another interview. Here is a photo of ‘heaven’. My wife Sanela on the top of Bear Mountain (in NY) sitting under a tree, looking out at the valley, a cup of coffee and a good book! My perfect day: waking up just before dawn, making a thermos of fresh coffee and homemade bread, heading up to the mountains and sitting in the middle of nature with my coffee, my bread and a good book. Heaven. I want to thank Mr. Danish for giving me such a wonderful reflective conversation on his intuitive writing style and for his appreciation of books and stories which fit under the spell of ‘Magical Realism’! I too, fancy biographical fiction and stories of this kind because they are not merely suspensions of reality and time itself which can become bent and yielded against the narrative, but they are glimpses into the possibilities which exist just past where our imagination circumvents the plausible! I am thankful his début novel was offered through Historical Fiction Virtual Book Tours, as I might not have come to discover it as quickly as I have! My gratitude is his for giving all of us a lot to ponder about in his replies to my questions! And, in closing I am thankful to all the dear hearts who have travelled with me on this journey! You entered my life on my blog’s birthday (6 August, 2014 or thereafter) but several of you supported me whilst I was in the process of going live! I appreciate your support and your willingness to give a new book blogger such a fantastic first year! For those of you who have been with me within the first seven months Jorie Loves A Story has been ‘visible’ I applaud you for giving my comprehensive approach to book blogging a nod of gratitude! I was originally going to post a reflective missive but decided this was better in the end! Why not march into the next twelve-months celebrating the joy of interacting with authors for without whom I would not have a blog! Their dedication to their craft and the stories they lit alive in our mind’s eye provide me with endless hours of appreciation! Drop back on Jorie Loves A Story, on 4 April, 2014 when I review “The Tenor”! You will not want to miss my ruminations! Be sure to leave a note in the comment threads for Mr. Danish! I would be especially interested in hearing if your a regular reader of war dramas and if so, which particular war era draws your eye the most!? Do you appreciate stories which evoke a reprieve from reality and enter into the hidden dimensional space habituated by Magical Realism? Do you enjoy reading biographical fiction based on living persons or would you prefer to read a non-fiction piece instead? I welcome you to start a conversation in the comment threads and I look forward to conversing with you! 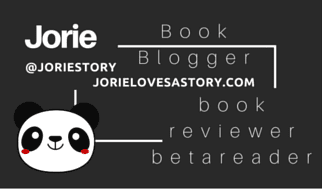 And, thanks for dropping by Jorie Loves A Story! @JLovesAStory you’re very welcome — it was a great post!